Pheeeeewey! Nothing like realizing - while still out of town visiting family - "the Project Quilting challenge ends in 15 hours"..... when for whatever reason I had it in my mind we had until the end of the month. Whoopsie! Based on my birthday, June 8th (6/8), I was to use a deep purple and gray for this challenge. 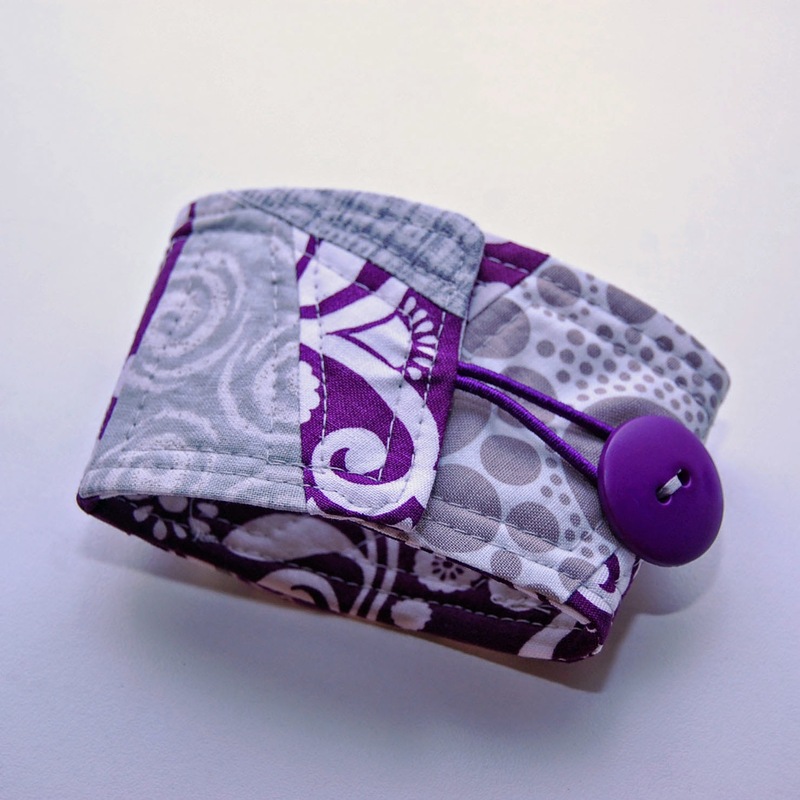 So..... we got home, got laundry started - and I quickly pulled out my purple and gray scraps to get to work! See more about the challenge by clicking HERE. April has been a super busy month - my blog has been quieter for sure - and I really have no idea where the month went??? I knew when I originally saw the challenge I wanted to make something for me - because it was based on MY birth date. 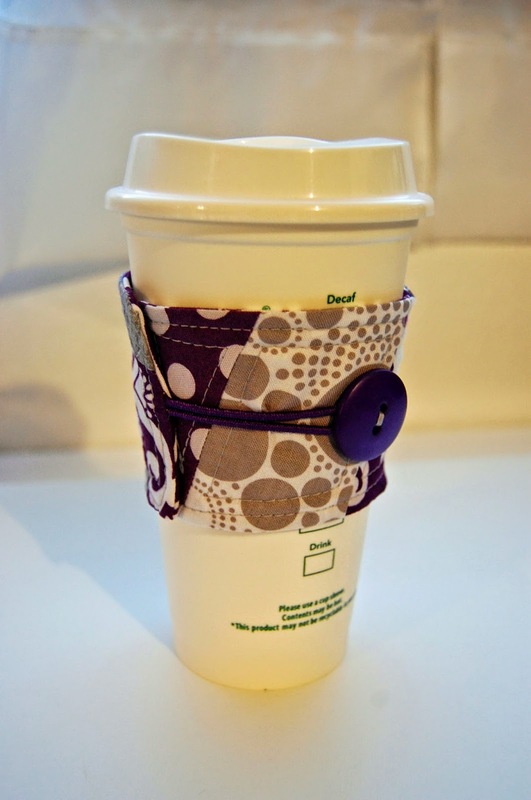 So.... today I decided I'd whip up a coffee sleeve! I get up at 4:30am with my hubby most weekdays to get some work in before my kiddos wake up - so coffee is a MUST around here. 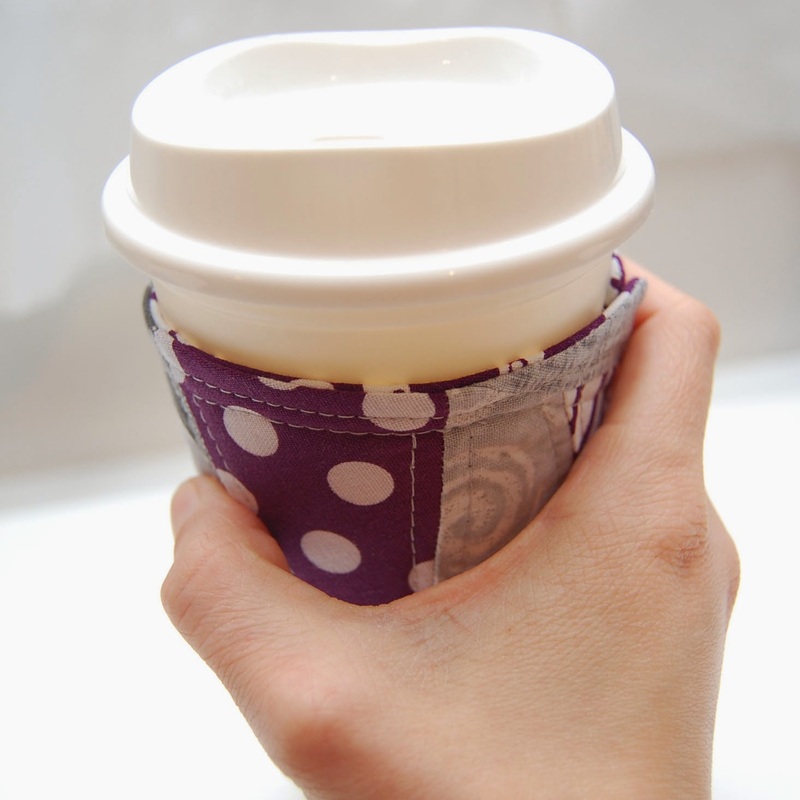 I have a few reusable cups that don't have built in insulation - so they definitely need a sleeve! 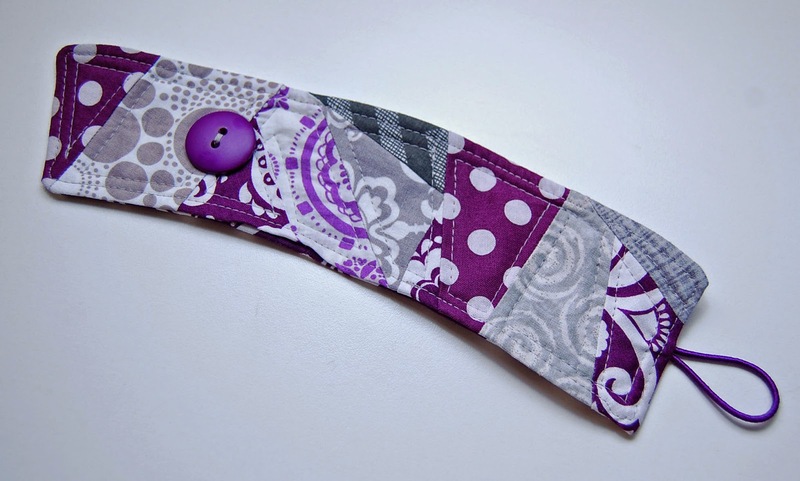 Purple + gray + coffee sleeve + ONLY using scraps = this! I did a little bit of straight line quilting through all three layers (cotton / fusible fleece / cotton) along the seams. Perfect - ready to protect my hand from that delicious, hot, oh-so-necessary java tomorrow morning! 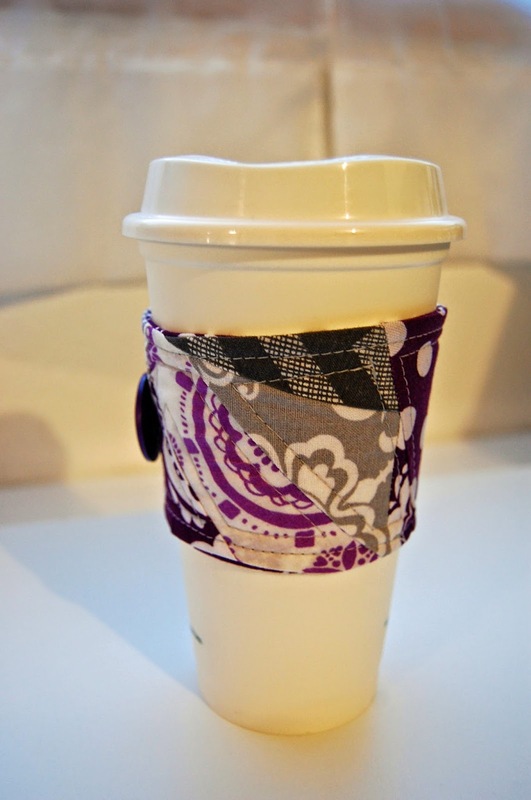 I love making coffee sleeves - and sell them in my Etsy shop - I'm always willing to cut into any in-stock fabric to make one! well done on getting it done so quickly! I like the colours together. So you go out at 4.30am to buy coffee?? I couldn't even lever myself out of bed at that time and when i do get up I just have an instant!